Banner Database Hardware refresh July 13 – 14. After ten months of planning and testing ITS is ready to perform our long awaited Banner system hardware refresh. 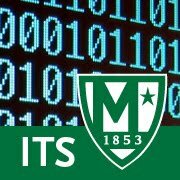 Like many things we do behind the scenes in RLC the end user impact should be as small as possible, and aside from some downtime to move the database to its new home our goal is that the negative impact on the Manhattan College Community is minimal if not non-existent. Why is ITS doing this? Simply put, it is time to replace some old hardware that is fast approaching end of life. We tend to replace servers on a three to five year cycle. After three to five years the reliability of server hardware begins to significantly diminish while the cost to own and operate can rise with respect to service costs, power consumption, and the lost hours of productivity we need to maintain aging hardware. Why is this good for the college? Aside from our critical Banner system being on newer more reliable hardware several opportunities were available to us during this refresh that were not in our previous generation. We have moved most of our Banner systems and other servers to a virtualized platform. This has led to cost savings hardware, power and cooling in the server room as well as being more centrally monitored and managed. We are also transitioning our databases to Red Hat Linux which helps us consolidate our expertise for more efficient troubleshooting. If you or your office use the Banner System we will be contacting you. ITS will be compiling testing procedures for all departments to ensure that after the upgrade is completed everything you do will “Just Work.” We will need help compiling these lists and running through testing but we will not inconvenience you more than we absolutely have to. If there are any issues at any time that ITS may not know about or that you feel are not being properly addressed please do not hesitate to contact us by emailing bannerhelpdesk@manhattan.edu. This will create a helpdesk ticket as well as forward directly to several ITS administrators. For those very few things that don’t just work, we will be providing heavily augmented support for the two weeks after the upgrade. Some of you may be familiar with our “Banner Hotline” that we have used in the past after upgrades to route users directly to Level 3 support for Banner issues. We will again use this system so that if something is not working properly you have direct access to the ITS personnel who will be troubleshooting your issue. Thank you in advance for all of the time and hard work that will go into this major initiative and as always we apologize for any inconvenience this may cause.